The Chicago Cubs didn’t do anything particularly special or revolutionary in the build up to their curse-breaking championship last season. 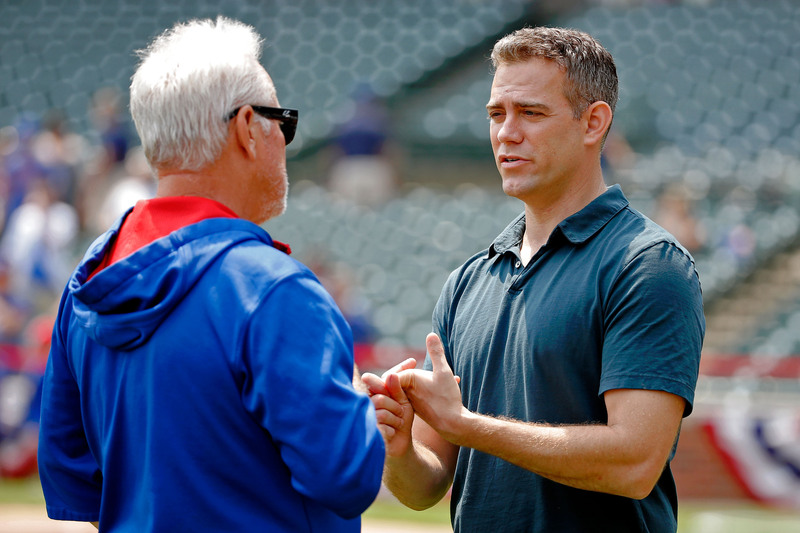 That is to say that Theo Epstein and company didn’t change the overall paradigm of managing a baseball organization in order to win the team’s first World Series in 108 years — the Cubs merely drafted well, traded better, signed strong players with the money that they had and took advantage of their opportunities on and off the field. But in the Cubs’ effort to defend their World Series title (yeah, it’s still strange to say), the team might be turning towards something that could truly change the game. The six-man rotation isn’t a new idea, and the Cubs, who went to one late in the 2016 season in an effort to keep starters’ arms fresh for the postseason, are hardly the first team to use one, but Chicago might be the first team to start a season with a premeditated six-man rotation. The Cubs will enter the 2017 exhibition season with a dozen starters in camp — Epstein, the Cubs’ chief personnel man, obsesses over rotation depth — with the expectation that the team will have seven or eight starting pitchers that they can trust when the season begins. As Epstein sees it, that’s how many you need throughout a season because of injury and roster moves. Last season, 11 Cubs pitchers started games. The Cubs don’t necessarily want to hand the ball to their No. 10 starter — that would mean more than one thing has gone horribly wrong. But they might be interested in letting their No. 6 man get serious run. We know the Cubs’ top four starters for the 2017 season — they’re the same as the Cubs’ 2016 playoff rotation: Jon Lester, Jake Arrieta, Kyle Hendricks and John Lackey. And the Cubs have pegged Mike Montgomery, who was the team’s spot starter and long reliever in 2016, to be the team’s fifth starter for this upcoming year. But it’s the Cubs’ signing of Brett Anderson — who has started all but 12 of his 127 Major League games — that could be an indication that Chicago is eyeing a six-man rotation to start this season.